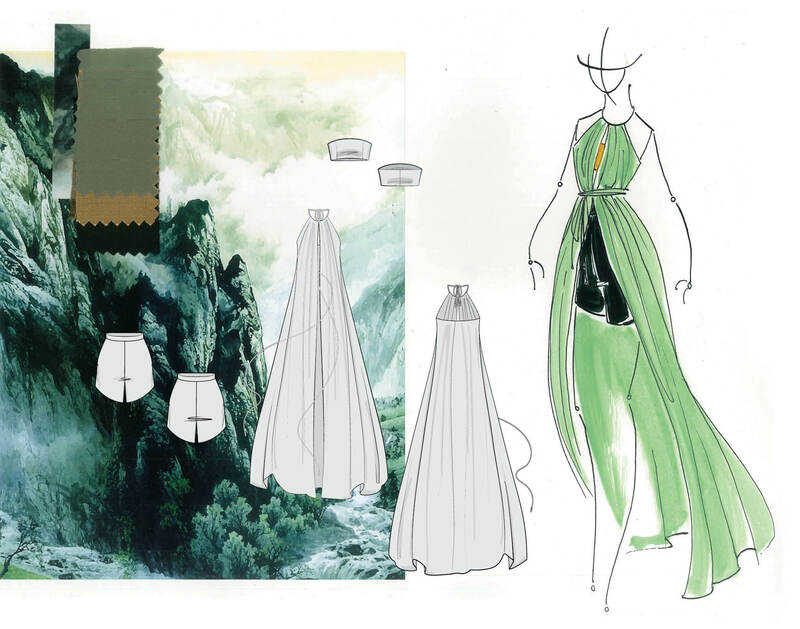 The Stone of Five Virtues is an eveningwear collection for the contemporary market. The collection is aimed toward a modern woman with a busy lifestyle and wants her wardrobe to be customized to her. 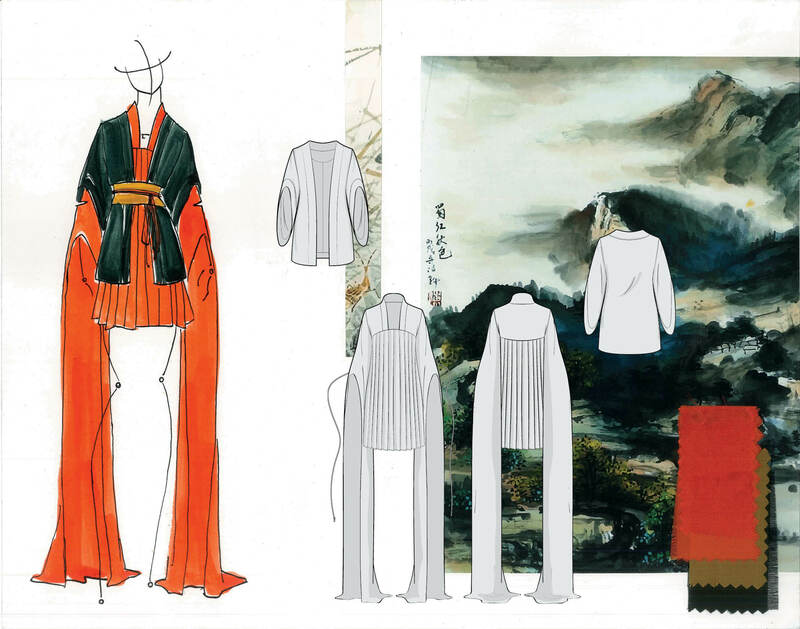 I was inspired by the sweeping silhouettes and layering in Ancient Chinese dress, specifically the traditional hanfu. The variety of colors found in jade inspired my color palette and my collection title. I focused on fabrics that are luxurious and durable for the contemporary market. Layering was a key factor in order for the customer to be able to mix and match, customize each look to her taste, and to maximize her wardrobe. In production the long sleeved items would be customizable to the wearer’s preferences.